Having a successful garden, whether vegetable or ornamental is not always easy. Definitely enjoyable, but none the less, having a successful garden is difficult. There are multitudes of things that can go wrong, so we don’t need additional problems caused from the wildlife in our habitat. Respect our wildlife friends and learn to adapt to living with them. The animals are learning to thrive in their adaption to human occupation of their environment as we must learn to adapt to their occupation. Small animals (rabbits, raccoons, groundhogs, etc.) 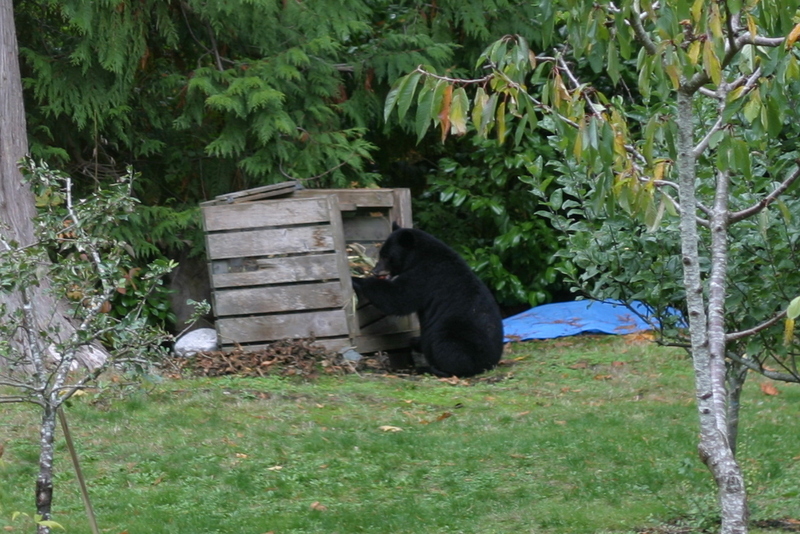 enjoy munching on garden veggies. 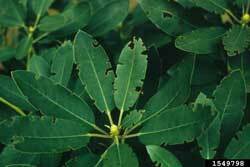 There seem to be a great number of remedies to repel the little critters. Having your own defensive army of dogs and cats seems to be high on that list, but who wants the dogs running and digging in the vegetable garden or cats depositing baby rabbits on the front porch. Apparently, the small critters turn and run from smelly things. Used kitty litter, moth balls, dried sulfur, dried blood, blood meal, human hair, and strong smelling soap all are included in the lists of critter repellants. All of these listed items may be repellents, but the only truly effective way to limit the gardens exposure is to fence it in. 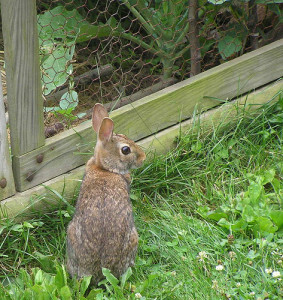 Chicken wire fencing 30” tall is enough to keep the rabbits at bay. Raccoons and groundhogs are harder to deter, and will require higher, heavier duty construction, and it may have to be electrified to have success. All can and will dig under wire, so in addition to above ground, we need about 8 inches below ground too. Remember also that trapping and transporting them is only relocating the problem to someone else. Secure garbage in shed or garage until absolutely necessary to put on street. Leftover human food should be limited in trash…and freezing the leftovers will help eliminate the smell. Apply ammonia to garbage to repel the bears. Remove leftover pet food and store inside. Clean grill and grease catcher after each use. Suspend bird feeders 10 feet high and 6 feet away from trees or eliminate completely in warm weather. 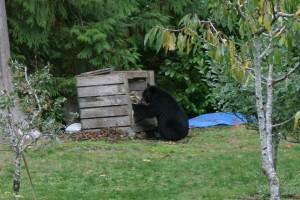 Feed the birds in the winter while the bears are hibernating (November to March). Remove any food from your car. 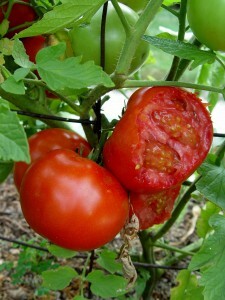 Harvest fruit and veggies as soon as ripe. Remove fallen fruit from the ground. 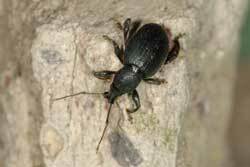 Remove citronella candles from outside sitting areas. Place electric fencing around bee hives and orchards. Many of us have elected to live in the mountains and with the wildlife that is abundant in those mountains. Adaptation is our key to successful gardening, living and loving our environment and habitat. Enjoy! There are really two possibilities, the most likely being the Princess Tree, Paulownia tomentosa. 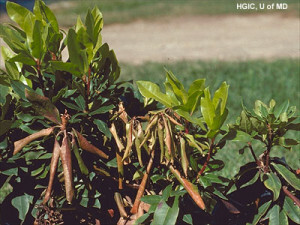 This tree can quickly grow to as much as 60 feet and is not at all demanding as to moisture or soil. That’s why we typically see it in locations where the soil has been disturbed and little else is growing. 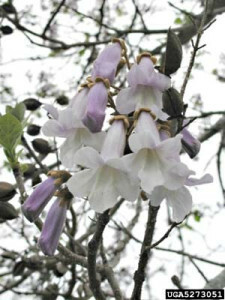 Paulownia flowers are borne on erect panicles that grow upward. Each of those flowers produces a capsule that contains literally dozens of light, winged seeds that are widely disbursed by the wind. That explains how they reach high on the cliffs in the rocky gorge of I-40 west toward Tennessee, for example. Not only does the question arise on the Master Gardener helpline! Apparently it is a frequently asked question of the staff of the NC Welcome Center along I-40. Prominently displayed on the doors of the welcome center are signs that tell what they are and that they are not native to NC. 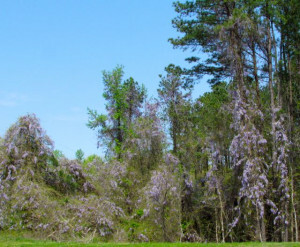 The flowers of the other possibility hang downward in showy clusters and that’s an oriental Wisteria, Wisteria sinensis. This is a vine but when it climbs and envelops a tree it can easily be confused with Paulownia, being about the same shade of violet or purple. Your answer then is to check the arrangement of the flowers. Growing upward equals Paulownia, hanging down, Wisteria. Paulownia, by the way, is the “Miracle Tree” you see advertised for its flowering beauty, rapid growth and tough constitution. However it really doesn’t make a good landscape tree as It has weak branches and produces a lot of litter as leaves and seedpods scatter later on. 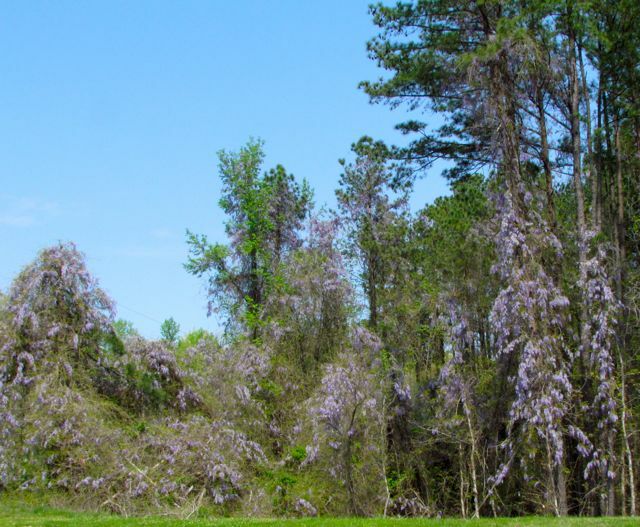 Both, Paulownia tomentosa and Wisteria sinensis, are listed by several states and the US Forest Service as being invasive, definitely not the kind of plants you want to bring home to meet the family.